Just in time for Easter and Passover, my first drawing of 2010 (I know, I know, but I've been busy). F. Lennox Campello. Charcoal and Conte on paper. 15 x 10 inches. 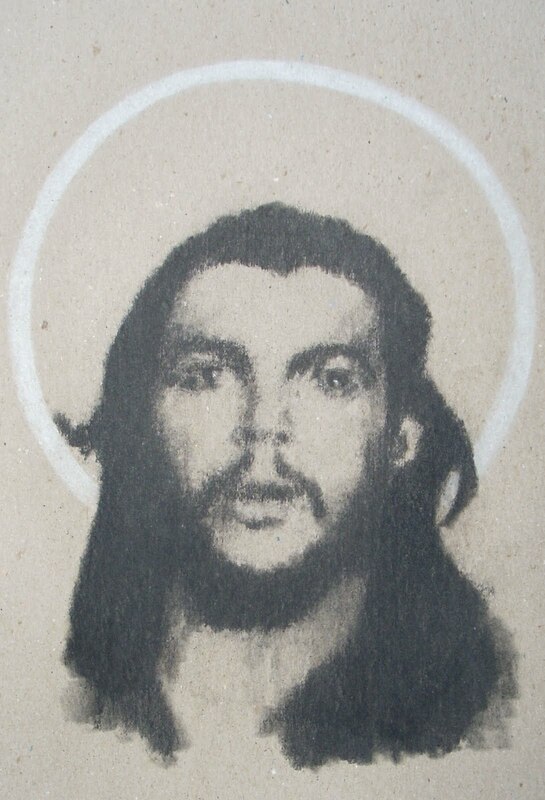 In this piece I return to my iconic series on that psychopath murderer of Cubans known as Ché, the Holy Saint of the Ignorant Masses who have actually never read his hate-filled racist diaries, speeches or interviews, nor explored his abject failures as a guerrilla in Africa and South America. If you want to buy it, contact one of the galleries that represent me. For more info on the Gateway Arts Center, click here. There's a collaborative performance at the University of Maryland Art Gallery (in the Art Building) involving a chamber group (Ligeti music), Richard Klank painting, and the very talented Sebastian Rousseau dancing (Forsythe technique), on Monday, April 5th, at 12:30 PM.